Skipping and dancing in the rain. Joyfully, fearlessly. Clad with my childhood dream of that freely dress with parasol and shoes to match. Come, my dear Reader, come! Let’s us skip and dance together to the tune of our Father/Creator’s love and protection. Ha! Ha! HalleluYah! 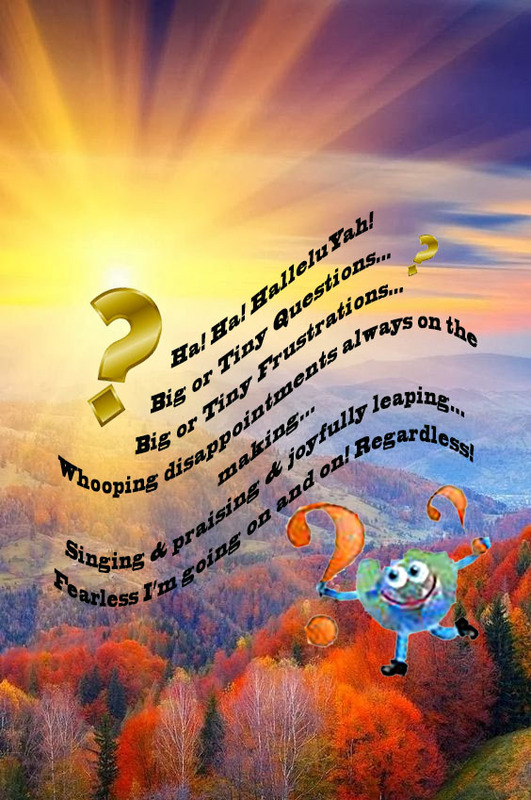 Big or Tiny Questions… Big or Tiny Frustrations… Whooping disappointments always on the making… Singing & praising & joyfully leaping… Fearless I’m going on and on! Regardless! Here is the beginning of another post. Father? All things are falling into place accordingly to Your plan for my life. Day by day. Moment by moment. Any unexpected time? You give a glimpse of Your amazing doings. I remain in awe. Ha! Woke up again… Go to the bathroom. Washing my hands. What do I hear? Oh? What is this that I hear? Impossible! Impossible You say? For a plain golden punking to become a golden chariot? Oh? Oh? Oh? Ahmad came for a visit. By and by, I read to Ahmad what I wrote in the previous post: …’ Even Making the most audacious request of them all, aka, requesting donations to build a $500000.00 capital to start populating the desserts of Jordan. Ahmad exclaimed. “That’s impossible, Basilia!” He proceeded to explain to me his conversation with re-known University Professors. Apparently, Ahmad asked about planting in the desserts. The answer? It cannot be done because the USA dumped nuclear waste in the waters under the Jordan desserts, but! There is a research now going on to purify those waters. So far, they have not been able to find the solution to the problem because Jordan is a poor country. There is no funds to support their search. WOW! It’s now 4:03 am. Am I awaken or am I dreaming? I am awake for sure because I am hungry. I will fix me something to eat. My day yesterday was spent mostly in a daze. Couldn’t think about eating or anything in particular. Stupefied might be the word for my state yesterday. Behold! The Power Of Wisdom & Love From On High Descending Upon Us All. It Never Fails. It Always Avails! The Plan Of Restoration To The Original Intent For Our Creation has begun in ONE. It shall continue One by One. 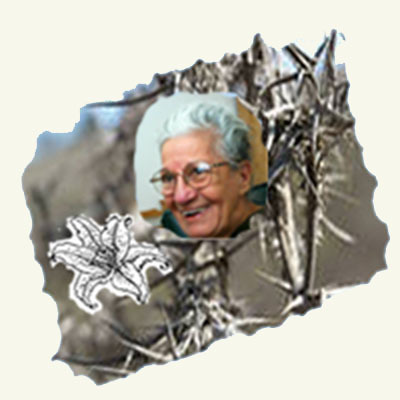 The United Kindred Spirits Organization shall soon be a reality in our midst. This Time, It Could Avail You Dear Reader, If Only You Listen To His Voice. If Only you ignore the author’s antics. Monday, July 17, 2017 at 9:32 am. Skip and dance together! How beautiful! Hey! I just read that passage in Malachi. Wow! I suggest that you read the whole chapter. It will lift you up big time! How can I can keep silent in view of the wonders You are showing to me, O my Father, O Father of mine? You know how impossible to achieve these matters was for me before You intervened that day on June 20, 1985. The day You began my transformation. Before then, I had been reading since before my 9 years of age. Read about amazing things that led me to live in a fantasy world for years on end. Then it came that famous year for me: 1974—the year I encountered You in Your words written in the pages of the King James Bible. It scared me to the point that I lost my mind. I abandoned You. But! You did not. The moment Your Master hand that began my transformation in 1985 declared it finish on the 78th year of my birthday, this 2017 memorable year for me for eternity! Every single detail is recorded as You instructed me to do at that time. Here I am some 32 years later: TRANSFORMED! Hahaha! HalleluYah! Now? You are using the record of my transformation to impact this world. Your purpose? Your plan to restore us to the original intent for our creation. WOW! May Your will be done on earth as it is in heaven. To be transformed…blessed! Restored…blessed! 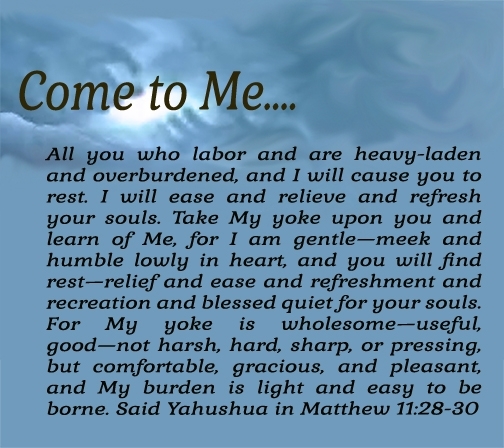 To be loved enough to have this guidance…blessed! Praise Be…And so we are…Blessed!